When I’m mired down by everyday minutiae (Laundry! Dentist appointments! Pay bills! ), it’s not commonplace, nor front-of-mind, for me to reflect on how I’ve grown. A look back on some of the older archived posts on this site reminds me that I&apos;ve changed quite a bit. It amazes me how quickly I’ve forgotten that I once had waist-length platinum hair and baked inedible desserts.I’m thankful that it’s not only my looks and kitchen skills that have done a 180. 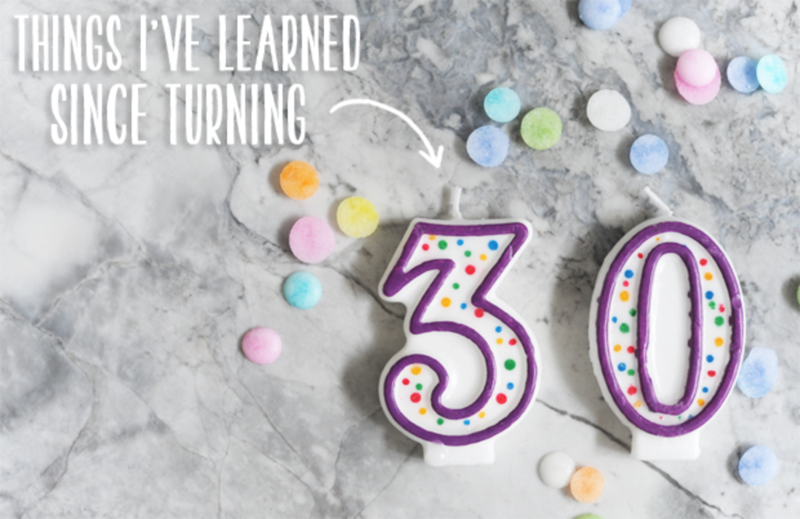 In the first installment of this new series, "Things I&apos;ve Learned Since Turning 30" I&apos;ll be focusing on relationships: everything from the quality of my friendships to the way I interact with my family. I’d love to know if you’ve found yourself a different person in your thirties (or at any age, for that matter), too. I thank my lucky stars every day that I have such awesome parents. Spending time together has always been a priority and it goes without saying that I appreciate them for taking such deep pride in that. It also goes without saying that we fight. It used to be that a tiff with my mom would automatically send me into a defensive tizzy. My knee-jerk reaction would be that she was insensitive to my needs. It would usually go like this: We’d bicker, hang up the phone, and then proceed to not talk to each other (which was insanely hard considering we chat multiple times each day) while I waited for her to break first. Incredibly enough, this holding pattern went on for nearly a decade. So, I had to make a conscious effort to do something about it. When I can feel a conversation turning sour, I&apos;ll pin the responsibility onto myself. I’ve realized that I can’t change my mom, dad, or any other family member, but I can change how I respond and react to a situation. I try to see the intention behind what they’ve said, instead of jumping to the assumption it comes from malice. And you know what? It worked. It&apos;s not to say that I don&apos;t feel exasperated at times or that we never fight, but I no longer expect my mom to be the bigger person. While the friends I had in my twenties were undoubtedly exciting (Britney Spears dance parties, hours of gossip, and sharing closets), I consider the people that have stuck around for me into my thirties, my family. 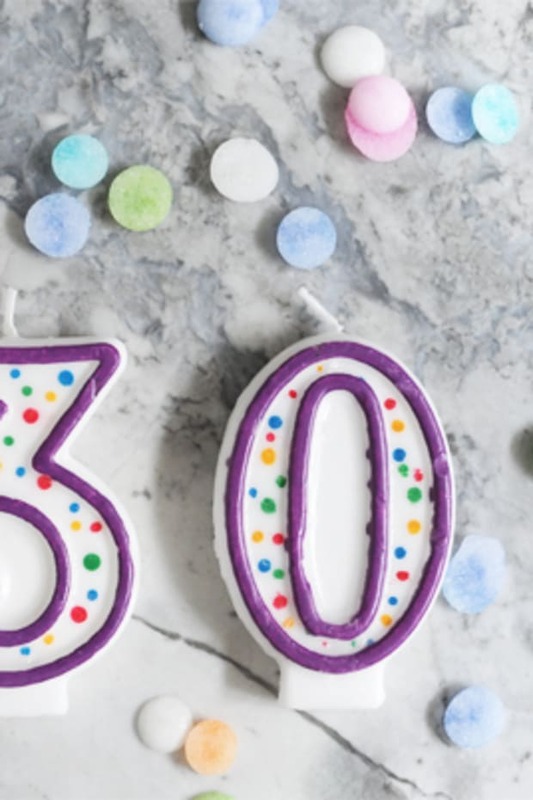 One of the hardest parts of entering my thirties was that it became the age when people started going through significant and scary life changes: Whether it was divorce, ailing parents, or money woes, I’ve found that tackling these changes together brought us closer in a way that an all-night party never could. I no longer have many acquaintances, as I much prefer having a small, close-knit group of friends I consider to be family. I’m utterly blown away by the kindness of the people in my life and find such comfort in knowing that they want the best for me and will be my support system no matter what the odds (and vice versa). I’ve had anxiety since I was a toddler. And while it will most likely always be a part of my life, I&apos;ve only recently begun tackling it head on with therapy. Now, when I feel that familiar rush of stress, I don’t run from it or pretend it’s not there. Instead, I lean into it. I acknowledge it and then recognize that there&apos;s only so much I can do. When I lie awake at night, tossing and turning, I&apos;m quicker to repeat this mantra: “I can&apos;t do anything about this in bed, in my pajamas, at 3 am." A lot of the things that worry me are out of my control, but focusing on the present (much easier said than done) has proven to be a really helpful way to keep things in perspective. When this site became my full-time job, I was eager to be flexible for those who wanted to collaborate. I would accommodate time changes and agree to insanely stacked meetings without complaint, even if it meant that I had to cancel dinner with my parents who were visiting me from out of town, or had to bail on a doctor’s appointment. After six years of running this business, I’ve realized that I need to stand up for my time. Part of that comes with respecting my work instead of apologizing for what I do (or being ashamed of it). I’ve made an unapologetic mental shift in my perspective on Cupcakes and Cashmere. Once I began taking this site seriously as a viable business, other people started treating it in the same way.